One of the amazing things about BlogOn Conferences is the wonderful brands you get to meet there. This year I was fortunate enough to chat with the lovely ladies who work with BABY born, and they have given me the chance to review the new BABY born table feeding chair. 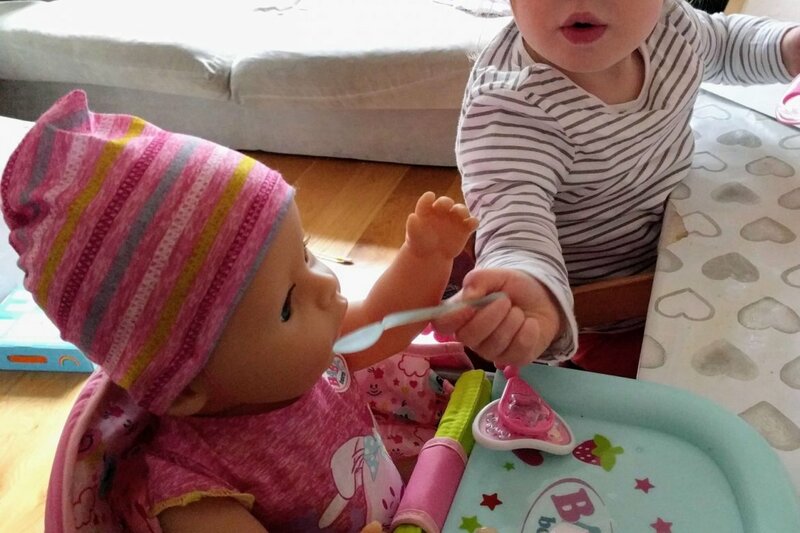 Isla, despite us trying baby-led weaning, has become a bit of a fussy eater. Whether she eats something or not can depend entirely on which way the wind is blowing that day! One of the strange ways though that we can get her to eat is if her baby is eating too. Then Isla is pretty much guaranteed to wolf down the rest of her dinner. 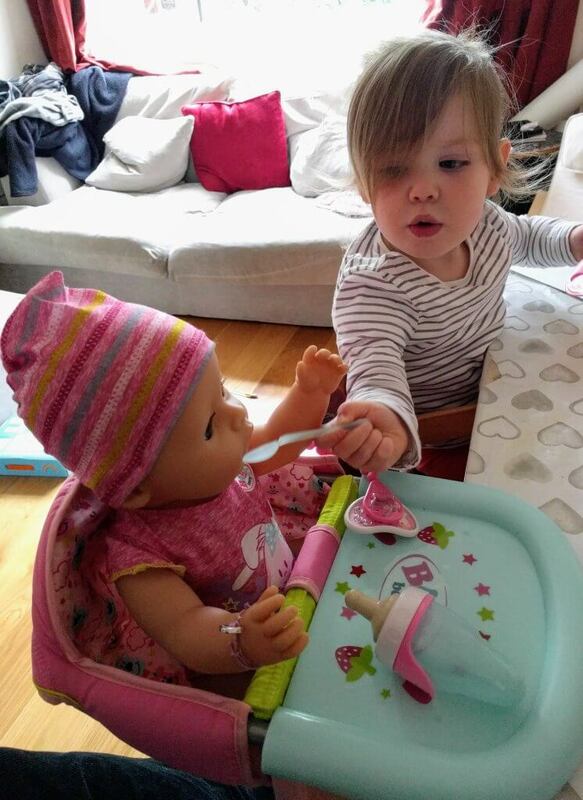 So I was so pleased that her baby could now sit in a chair at the table too, rather than us having to hold baby. The BABY born table feeding chair is designed to easily attach on to the table, and is made of soft, but strong fabric. It also has an integrated turquoise (although Chris would argue it’s blue!) table, that BABY born can not only eat at, but can play at too. I love the pattern on the fabric of the chair. 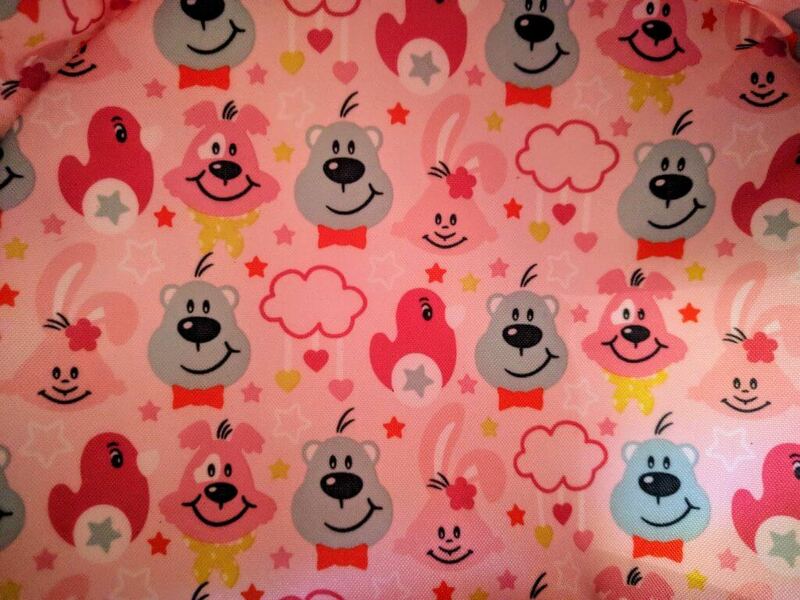 It is bright and colourful, with lots of different fun animals on as well. Isla loves pointing out animals at the moment and making their corresponding sounds. 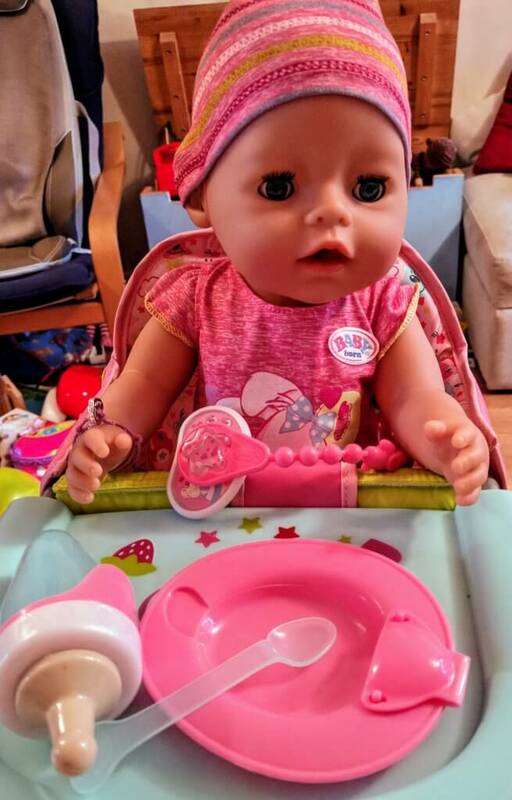 The BABY born table feeding chair is aimed at children aged 3+, but Isla seems to get on well with it, and she is always supervised when playing with it, as she is in her high chair too. Isla seems to love her baby and its new table feeding chair. She loves that her baby can now sit next to her while she’s eating her meals. 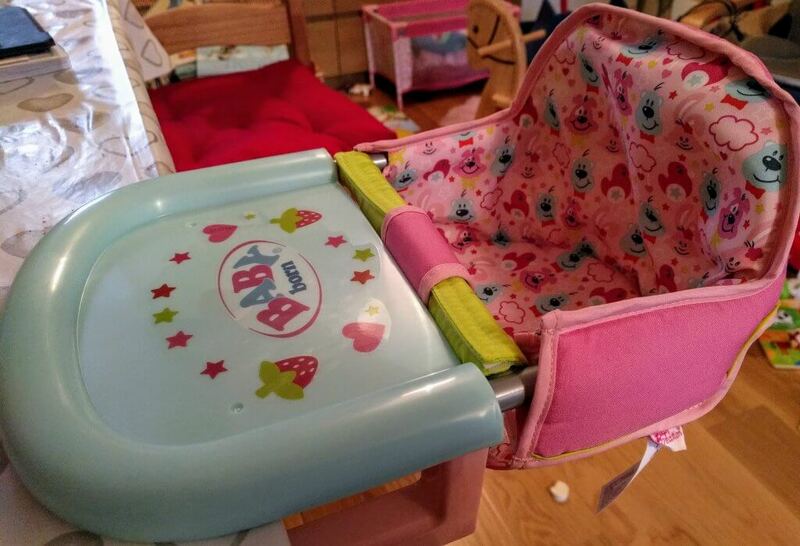 We were sent the BABY born table feeding chair for free for the purpose of this review. As with all reviews on Life As Mrs D, all words and opinions are honest and our own.